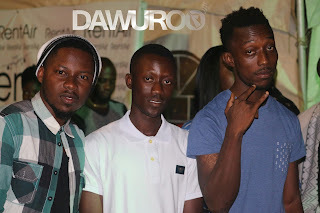 Home / Entertainment / Flowking stone / news / Oseikrom / ShutDown / Flowking Stone (@FlowkingStone) Finally "ShutsDown Oseikrom"
Flowking Stone (@FlowkingStone) Finally "ShutsDown Oseikrom"
It was all fun, excitement and power packed when all roads were lead to Kumasi City Mall for the much anticipated "Oseikrom Shut Down concert" which is the first of its kind organized by a Kumasi Based Artist. The show couldn't have been better without the performances of artistes who graced the night. Strongman, Cabum, Guru, Yaa Pono, NT4, King Paluta, Epixode, Amerado, Lyrical Joe and many more gave stunning performances on the night. 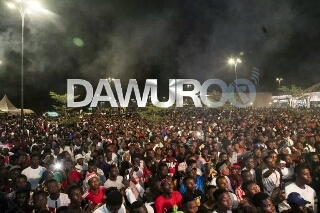 Dawuroo.com can boastfully say this is one of the biggest concert Oseikrom has witnessed this year and wish to see it much more bigger and more better in the subsequent years. On the part of security, I would say thumps up to the organizers for a good work done which recorded no bad news from the beginning, during and after the the show. Organization was so on point that, all artistes got to entertain their fans through their performances. On the real, I would want to use this medium to congratulate Flowking Stone and his Kingdom for a good work done, as well as sponsors and all who made this a success. 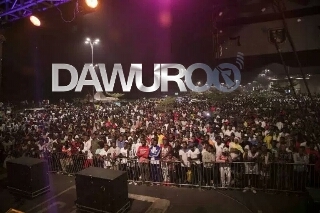 Dawuroo.com would want to say kudos to Flowking Stone for a good job done.